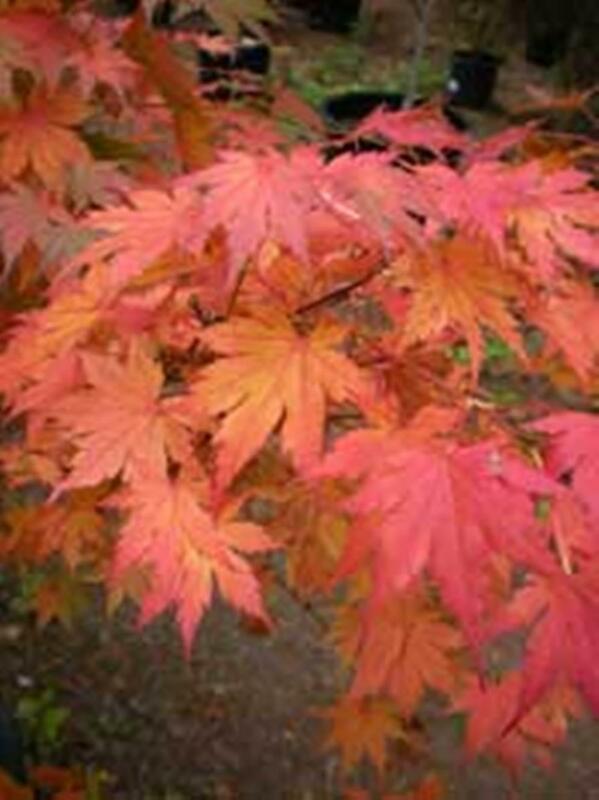 Acer sieboldianum is an upright small tree with smooth grey bark growing up to 6 metres in height and spread. Produces rounded lobed green leaves in spring with small yellow flowers on flat corymbs. Leave turn from green, red to burgundy to yellow green gold in summer. During autumn leaves turn bright reds and oranges before falling.